Not a whole lot to see in this shot (another one of those taken from waaay out across a road, in a decidedly unphotogenic and unflattering way! ), but trust me, the Westgate Shopping Center is over there. Heh. If you squint you can actually see the Wards signs, which is the store that sits here at the end we're looking at. Admittedly, I don't know much about the Westgate, so I'm not positive about its lifespan yet. I'm digging around. I know it was around as far back as 1961, so I'm guessing it opened in the '50s, and I believe it was demolished sometime in the '90s or thereabouts (it's a dead mall now). At any rate, at least it's another one archived now. Hopefully more will come later on it, and better pictures. I grew up going to Westgate Mall in Abilene, Texas. My daddy was an electronics manager at the Wards store. Email me at malcolmdbc@sbcglobal.net and maybe I can answer your questions about it. Westgate was a dying mall when I came to Abilene in 1984. Sometime within the next ten years it was remodeled, but it never recovered. (I often wondered if the whole "remodeling without bringing in any merchants" deal was some sort of money-laundering scheme, but that's just my ignorant suspicion thinking out loud.) Another ten years more and the mall was demolished, except for the old Montgomery Ward store. Wards (the whole company, not just the local franchise) eventually closed, and that building now houses some sort of State of Texas office, I believe. The rest of the property, where the mall was, was plowed under and repaved and a new smaller shopping center was erected. For a while it had Big-K (formerly K-Mart, across the railroad tracks (not visible in this picture, but to the left)) and a Tom-Thumb or Winn-Dixie or some other large Texas grocery store chain. The grocery store didn't last but a few years (3-5 or so). This grocery store was notable as it was Abilene's first place that had self-checkout - that was quite a concept for us West Texas hicks to wrap our brains around. There may be another small shop or two in the center, but mostly I believe it's just Big-K and that Texas-related building. Abilene does have a "real" mall on the south side of town, the Mall of Abilene. 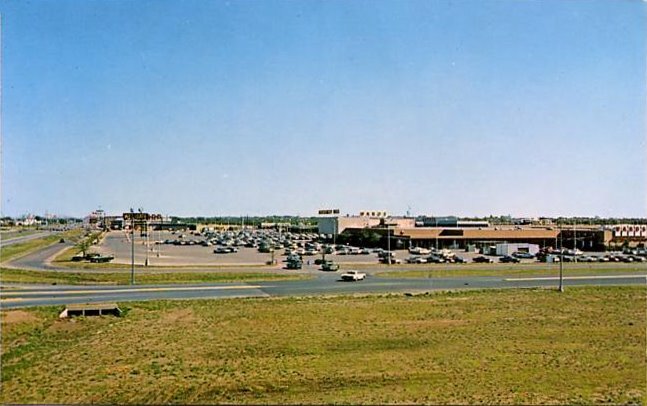 This Westgate Mall was on the western edge of Abilene, just inside the west loop (Hwy 83/84/277 - the photographer is standing about at the eastern edge of the overpass). Hey I live in Abilene now and have for much of my life. The Westgate Mall was still standing when I moved here in 1991, but only just barely clinging to life. I remember shopping at Ward's and some other shops in here once or twice. Several large and glamorous hotels were nearby. By the mid-90's, the mall was closed and bulldozed and most of the development in the area had left, leaving large vacant lots and buildings. BigKmart and Winn-Dixie were built on the old mall site, but Winn-Dixie closed shortly thereafter and Kmart never seems to do much business. One of the old hotels is being resurrected as a Howard Johnson Plaza/Conference Hotel. There has been a Sam's Club just down the street for many years, and I've always wondered how it could do so much business without beinging any to the old shopping centers. Anyway, The nails were placed in the coffin of Westgate in 1979 when the Mall of Abilene opened on the southwest side of town, bringing Sears, Dillard's, JCPenney and dozens of other stores with it. That mall is still open with Sears, 2 Dillard's, JCPenney, Books-A-Million and Best Buy as its main anchors. Westgate just faded, along with the surrounding neighborhoods, into urban decay. There was a night club at the mall that we went to in the early '80s. I can't remember the name, but it had a giant mirror on the back wall. I was called " The PLACE ". Original anchor stores were Montgomery Ward, Kresge, and J C Penny. The ABC affiliate in the Big Country (KTXS-TV now back then KPAR-TV) is licensed to Sweetwater (one county, about 40 miles west). Since it's start in the mid fifties, it wanted to have more of an Abilene presence. In the late 50's it had an Abilene office and studio in an old car dealership. When Westgate opened, Channel 12 moved into the new center of attention. Newscasts were done from the Mall. While they later moved this was the place to be. A radio station called KCAD (now sports KZQQ) started at 109 Westgate Center in 1962. Back when Abilene only had four or five stations, each was a big deal and highly visible studios were a conversation point. My parents moved to Abilene in 1961. I stayed until 1975. 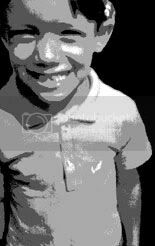 I remember my Cub Scout den participating in derby races in the parking lot in early 60's. Also, saw Fess Parker (Daniel Boone) at an event inside open area of Westgate. Everyone did their Christmas shopping there! Did they close the Steak and egg dinner at the same time? I worked at Montgomery Wards from 1976 to 78 while at Abilene High. It was the place to hang out but sort of dying out by '78 and then the Mall of Abilene was built which clinched its' downfall. I grew up in Abilene from the 70s-late 90s and have many memories of Westgate Mall. 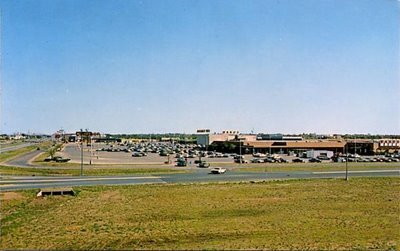 After the Mall of Abilene opened in 1979, Westgate started a pretty rapid decline. Around 1986-87, when the mall was basically empty other than Ward's, a 50-Off store and the dollar cinema, a group of investors spent about a million dollars totally renovating the place. The interior was transformed into an up-market retail center with granite walls, smoked mirrored accents and skylights, and modern tile flooring. The facility's name was changed to Westgate Town Center, which continues to this day. Unfortunately, the renovations coincided with the worst oil bust in modern history, and the mall remained basically empty except for Montgomery Wards, a 50-Off store and the dollar cinema. After a decade of being nothing but a nice but neglected place for mall walkers, the mall was demolished in 1997. I worked for NBC affiliate KRBC at the time and we carried the first strike of the wrecking ball live on the 6 p.m. news. The "new" shopping center was then built just to the south; the former mall footprint became huge parking lots. Winn-Dixie Marketplace opened in 1998, with the aforementioned self-checkout counters. Kmart opened two years later, moving from across the tracks (that original Kmart building on N. 1st is now an indoor drive-through storage facility). Winn-Dixie closed all of their Texas stores in the early 2000s, and that space hasn't had a permanent tenant since, though it does host occassional large garage sales or crafts fairs. Kmart happened to survive until 2016, but it's now empty. Taco Bell built a new restaurant in front of the shopping center facing S. 1st around 2010, and Discount Tire built a new store next door in 2016, but the shopping center itself is mostly empty. Commercial development in Abilene has only thrived in the southwest and, more recently, northeast parts of the city. Even Sam's Club, mentioned in a previous response, moved to a new, modern facility in far south Abilene in 2013...the old Club is now a commercial bakery. The only real "success story" of Westgate is the former Montgomery Ward's building Ward's built the building as a stand-alone facility in the 1950s. Westgate Mall was built adjacent to Ward's a few years later, sharing a common wall, and Ward's east entrance opening into the mall interior. When the mall was demolished in 1997, the Ward's store was left intact, once again a stand-alone facility. Upon Ward's companywide closure in 2001, the State of Texas purchased the building and renovated it into offices for various state agencies. The former auto repair center, which I remember visiting many times as a child, has now been enclosed and is the city's DPS driver's license facility. As of 2017 there is no word on what will happen to the now-empty shopping center itself. I used to stare at "Montgomery Ward" at night -- those neons lights flashing in sequence " Mont Go Mery Ward" Then on the second stage "Go Ward", then repeat. It was mesmerizing. I remembered going to putt-putt next to that area. I now live in Nashville, Tennessee, recollecting back in old days. Also there was something similar to "White Castle Hotdog" on 2801 S 1st St Abilene, TX, I used to go there as a kid to order foot long hotdog. Those days are gone as well. I remembered Mall of Abilene coming up early 1980 and that was what killed that so many stores. I need to visit Abilene to see what it have become since I left in 1981. Montgomery Wards predated the Westgate Mall but came after the landing strip on which Westgate Mall was built. Westgate Mall lost most its business when the second mall was built on the south end of town. They named the second mall "Mall of Abilene". After it was built, construction sprung up all around it. Soon houses filled in all the way through the community known as Wylie. As stores could no longer afford a losing location in Westgate Mall, they moved out of the building despite the addition of wall closing both ends of the mall. Huge glass walls blocked the wind and trash that would blow into the open mall. The concrete floor served as the decor until the pink remodel. They did a lousy job on the roof during that remodel which then leaked into the vastly empty building creating a huge mildew culture driving away any possible customers.